Electric risk is generally everywhere widespread in the workplace, but there are some types of activities for which this risk is most significant. Going into the evaluation of the electrical risk, we must distinguish between direct electrical contact (when the discharge is transmitted to the body directly from an energy source) and indirect electrical contact (when there is current passing through a conductive element). Any damage to the organism that may occur following an electrical accident varies according to the duration of the exposure, the frequency and the intensity of the current. One speaks therefore of electrocution when there is current passing through the body, or of burns and hypersensitization of the affected area following short or low intensity contacts. The risk management measures cannot be separated from prevention, which is carried out by training the operators, carrying out regular maintenance of the plants and equipment and adopting adequate personal protective equipment. 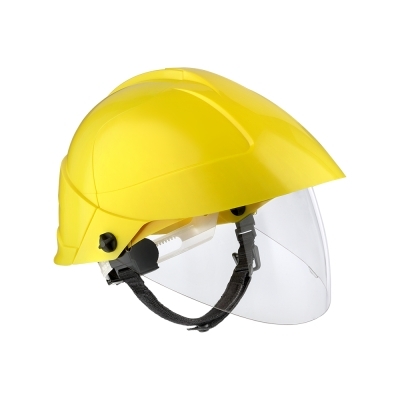 Thanks to the experience gained in the electrical sector, Sicor has developed a helmet with integrated visor that meets the ENEL EA 0011/1985 specification for protection against short-circuit arcs and 5000 V voltage test.